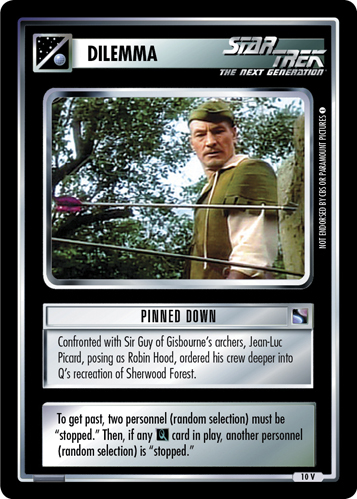 Confronted with Sir Guy of Gisbourne's archers, Jean-Luc Picard, posing as Robin Hood, ordered his crew deeper into Q's recreation of Sherwood Forest. 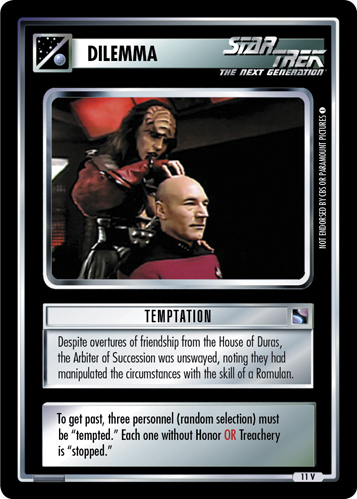 To get past, two personnel (random selection) must be "stopped." 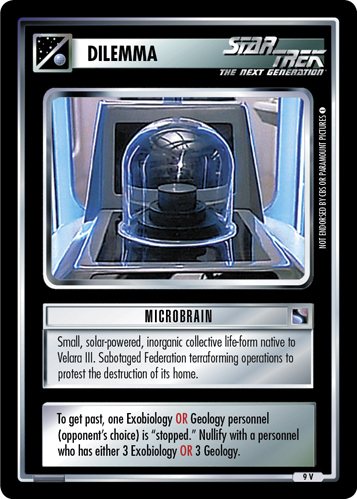 Then, if any card in play, another personnel (random selection) is "stopped."